If the TV in the UK is to be believed, we are all railway lovers. Documentary follows documentary telling us so and re-assuring us that one of the most significant developments of the Industrial Revolution had it’s genesis there. Which at least in part, explains the nation’s dedication to the hundred plus preservation societies and the railways that have sprung up since the demise of steam in the late ‘60s. Amongst countless words that have been written about the phenomenon, the story of Dai Woodham and his scrapyard at Barry Island stands out (http://www.greatwestern.org.uk/barry1.htm) – it was after all, the saviour of the then fledgling preservation movement. Thanks to Dai Woodham, today, that movement is a multi million pound industry servicing annually increasing numbers of both local and international visitors. 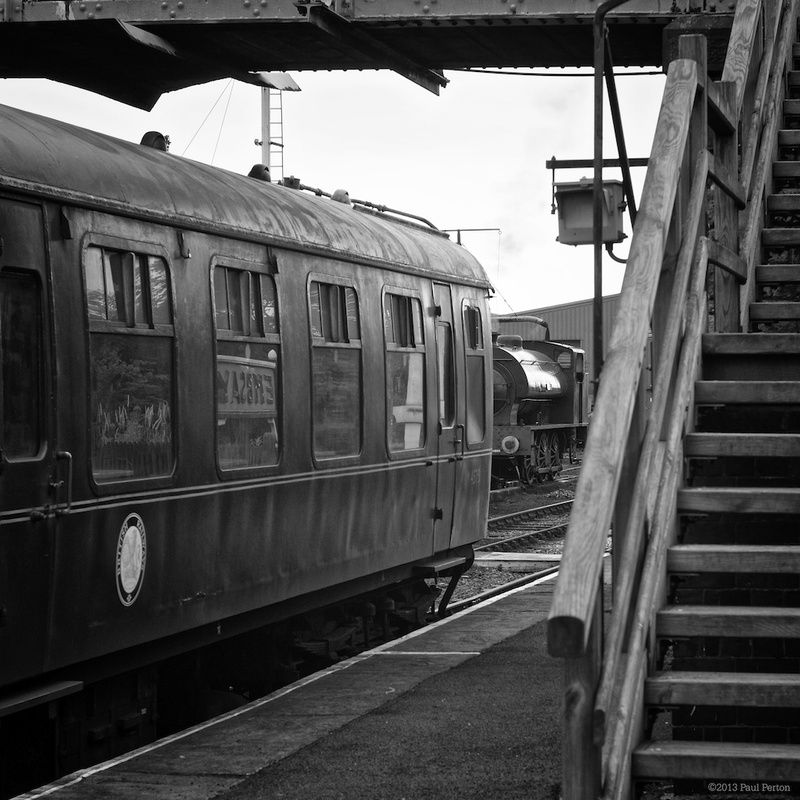 My interest in railways dates back to my ninth year, when my older cousin took me out spotting one Saturday morning and in moments, I was hopelessly smitten. 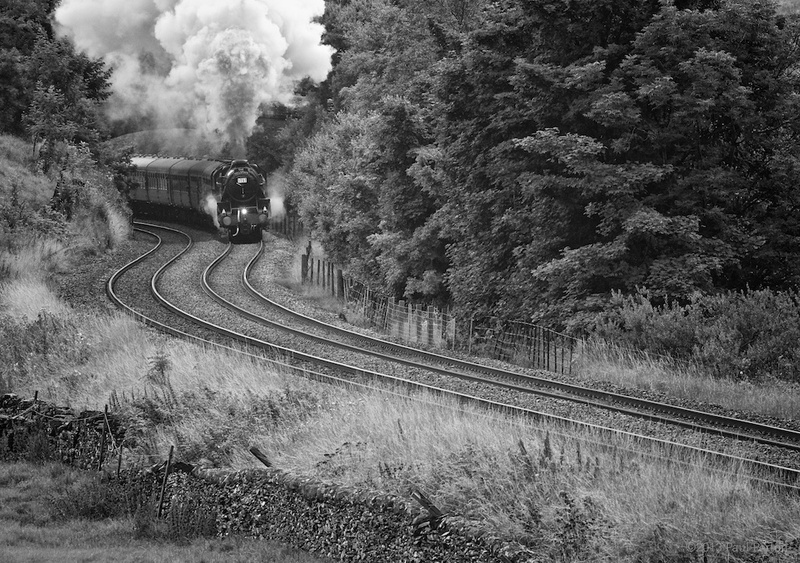 Fifty and a bit years later, the passion still runs deep in my veins and whenever I visit the UK, I do my utmost to schedule some time on a station or part of the countryside where steam trains run. The week preceding Easter this year saw me in a bitterly cold England, following the hospitalisation of my octogenarian father. 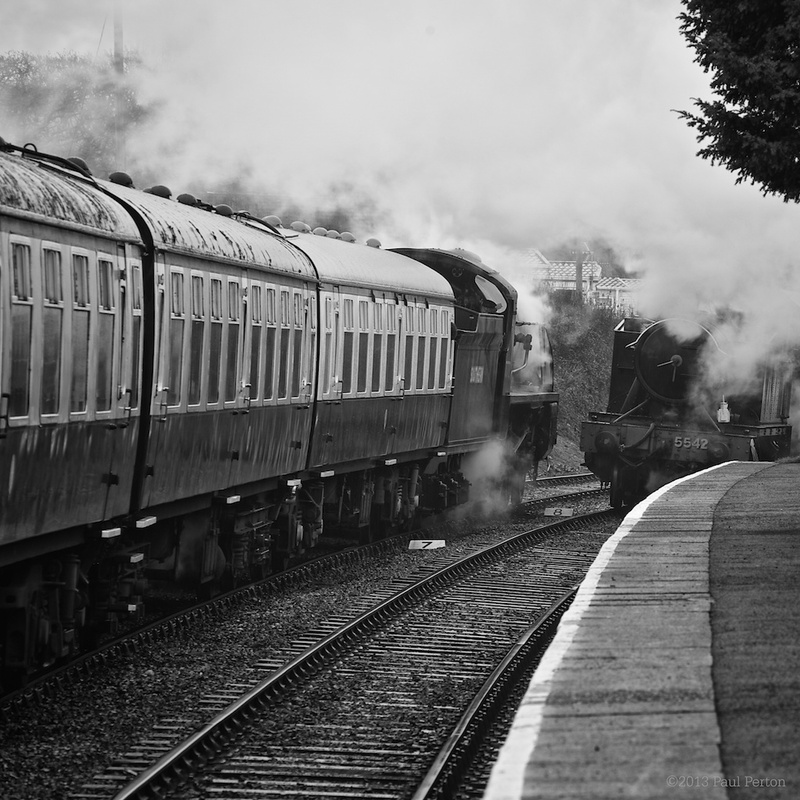 With some time on my hands, the West Somerset Railway’s (WSR) Spring Steam Gala beckoned. Late winter Somerset didn’t put on it’s best for me. It rained, sleeted and the wind easily blew the thermometer below zero (Centigrade). Despite the conditions, the Railway did it’s best and ran to the fair weather timetable it published, despite the trains being barely half full of chilly visitors. 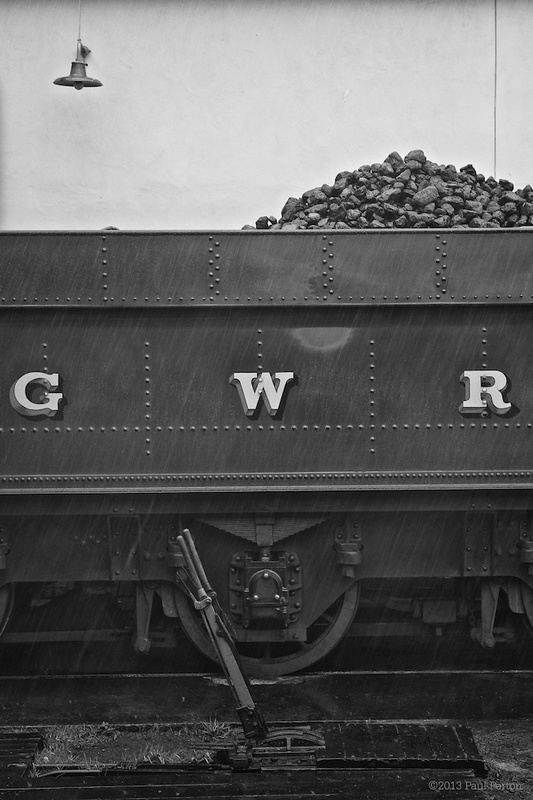 The WSR’s Web site is very informative and highlighted lots of spots where photography was possible, many in this case temporarily inaccessible with mud and water everywhere. 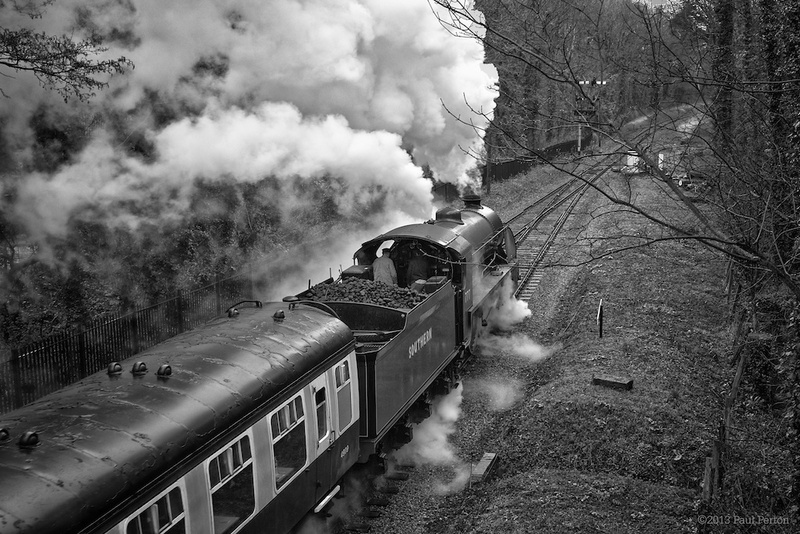 Nonetheless, camera in hand and steam power nearby, the hours of a childhood spent on windy, wet platforms and bridges all came rushing back. 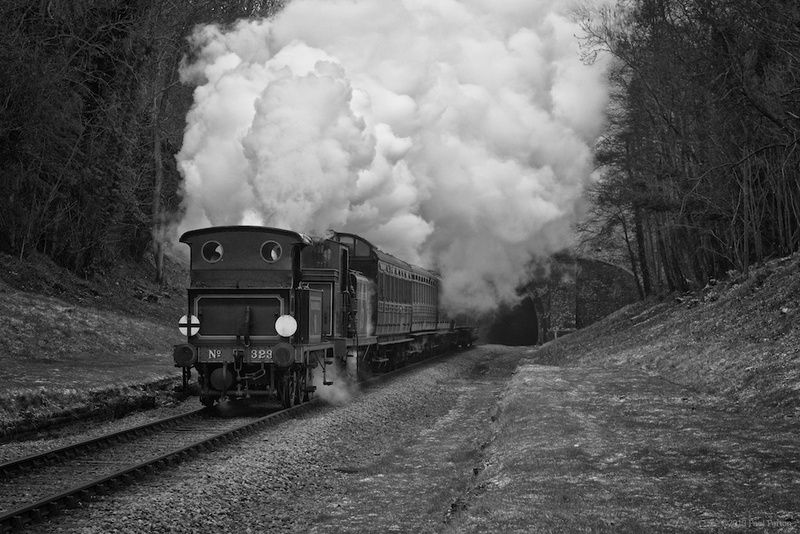 Unexpectedly, my photo buddy – we’d originally planned some time photographing on Exmoor – re-discovered his own childhood; the noise, steam and smells taking him back to family visits in the ‘60s Midlands. 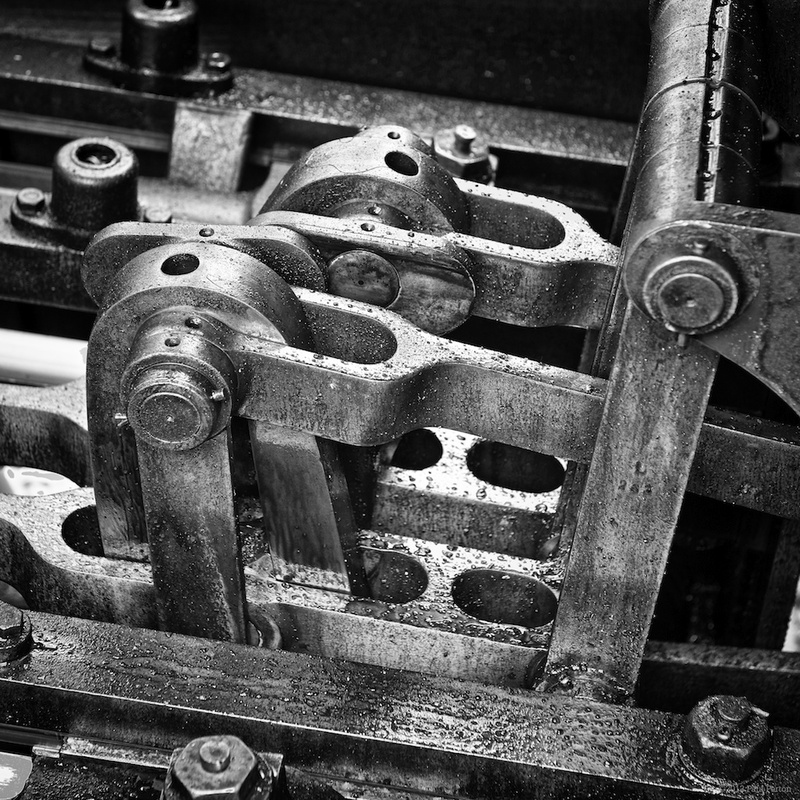 Prime time for steam was in the mid decades of the last century, a time of black and white film and less than satisfactory colour. Today, despite the technological ability in even the simplest point and shoot, it seems wrong to produce colour images, when monochrome is so much more appropriate. My workflow is simple enough, do the edits in colour; a tweak of the definition slider, minor curves adjustments – there are lots of shadows and dark details to bring out – and then into black and white. A bit of extra contrast and a vignette. Job done. Weather and circumstances combine to deliver moody, gritty images that evoke memories of days gone by – days all too easy to remember as simpler, less challenging and if memory serves, way, way better. #156. Silver Efex. Is it just Canned Art ? Oh, now you’ve gone and done it. 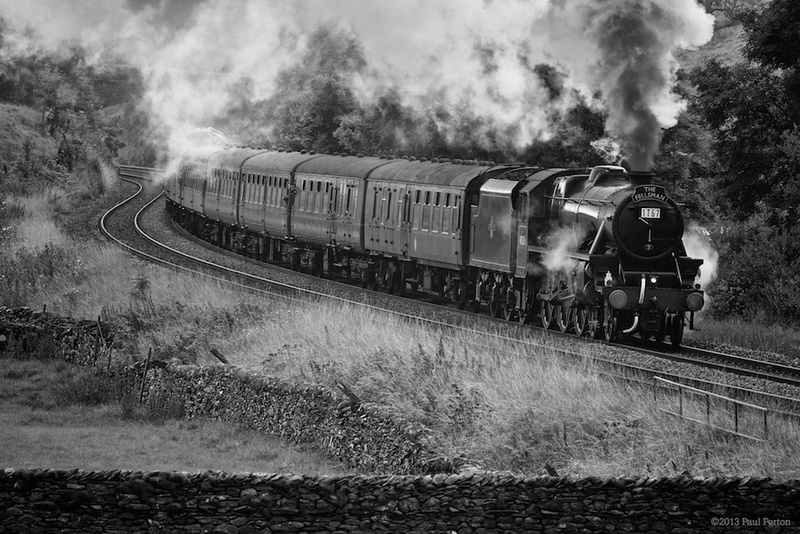 I LOVE steam power. Nice photos. Interesting post. Leaves me wondering where a person can find such things in or around Paris. Any suggestions? Christopher, no idea around Paris, but hop on Eurostar and you’ll find plenty within easy distance of London. I’d start with the Bluebell Railway, the Mid-Hants and perhaps a trip west to Didcot. 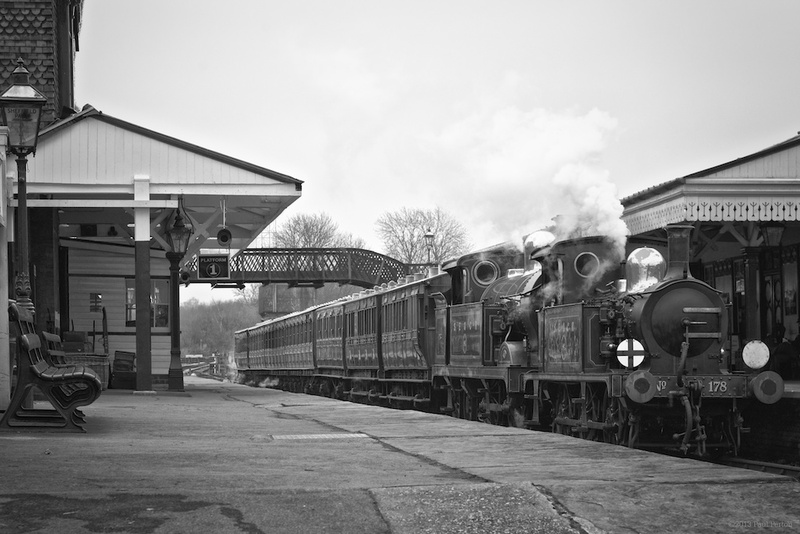 Very few heritage railways operate every day in the winter, so check their Web sites and see what might be on offer. Oh yes, you’ll be outside so remember to take some warm clothes along with your camera. Great story and great pics! 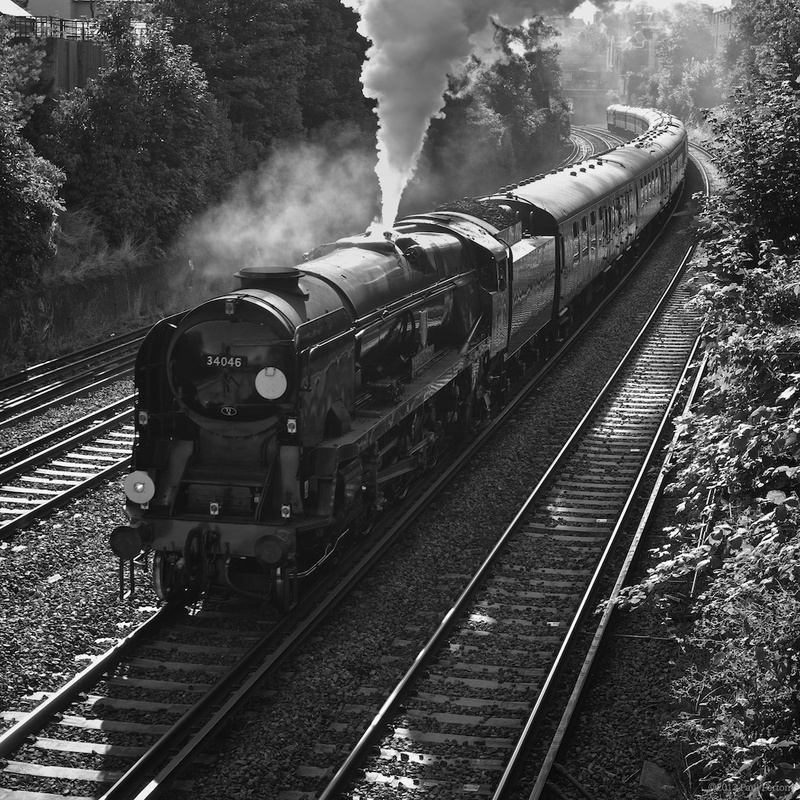 It reminds me of when I was a child, and rode a train drawn by a steam engine. I thought it was fantastic, powerful, romantic, and I loved to hang my head out the window to see the puffs of smoke pouring from the engine. Except that I soon learned that there was a price to pay: getting coal dust in my eye. Ouch! Thanks for this moment of blissful regression!